When it comes to weight, when you eat may be as important as what and how much you eat according to an article in the May 2012 issue of Cell Metabolism. When mice on a high fat diet are restricted to consuming their meals (with the same number of calories) over eight hours as opposed to 24 hours, they gain less weight, had less fat in their liver, and had lower levels of inflammation. Our hormones have a lot to do with how our body uses or stores what it takes in, and this determines whether or not fat will be made, stored, or burned. Weight loss takes much more than will power. There are many reasons why people become overweight that must be dealt with in order to lose and sustain weight loss. There are endocrine causes such as thyroid, adrenal, and ovarian causes as well as diet, exercise, PTSD, insomnia, environmental toxins, many drugs, and quitting smoking that are involved in weight gain and loss. Many eating disorders such as bulimia, anorexia, are binge eating make weight management far more difficult to deal with as well. 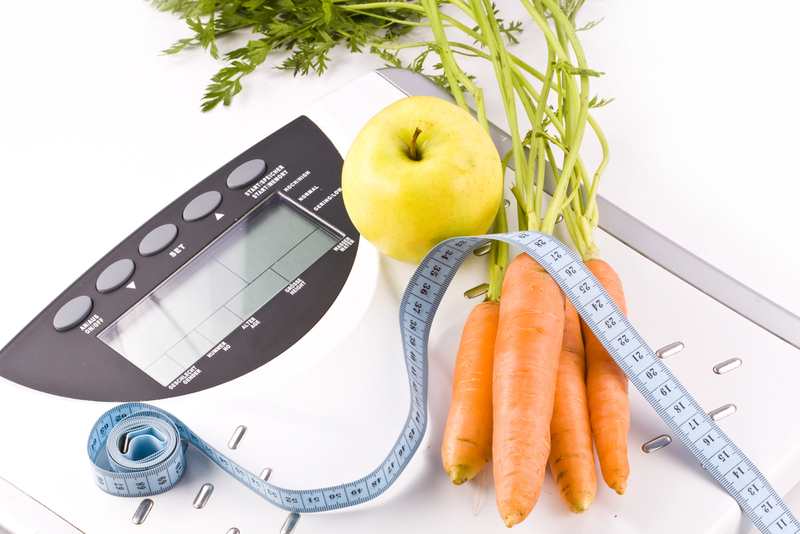 The program below will help support you while you're in a weight management program. *Dr. Saputo recommends the Lifestyle, Dietary, and Supplement protocols listed below as considerations for treatment for Weight Loss. All the information on this site is intended solely for educational purposes exclusively for your health care practitioner to consider with you. It is neither ethical nor appropriate for any health care practitioner to give medical advice to anyone who is not their patient. 1. Practice good sleep habits and get between 8-­9 hours of sleep a night. 2. Avoid smoking and alcohol consumption. 3. Avoid stress and extra obligations. 4. Engage in regular exercise such as walking, yoga, or tai chi and be sure to include the most important activity, weight lifting, for increasing lean body mass. 1. Drink at least 8 glasses of purified water daily. 8. Eat 5-­9 servings of fresh fruits and vegetables daily OR add 1-­2 heaping tablespoons of PaleoGreens and PaleoReds to your favorite drink daily. 9. Carry PaleoBars, EssentiaMeal single serving bottles, and/or Brain Power Sours with you to prevent missing meals or snacks. PaleoMeal: Consider replacing one meal per day with a PaleoMeal shake as directed. This product does not contain: wheat, yeast, soy protein, gluten, eggs, dairy, artificial colors, flavors, sugars, or preservatives. Recommended Use: As a dietary supplement, take one packet daily or as directed by your health care practitioner. Trademark Information: Chelazome, Chelavite are registered trademarks of Albion Laboratories, Inc. Chelates covered by U.S. Patents 5,516,925 , 5,614,553 and patents pending. Forslean® is a patented product from Sabinsa Corporation, US Patent No. 5,804,596.